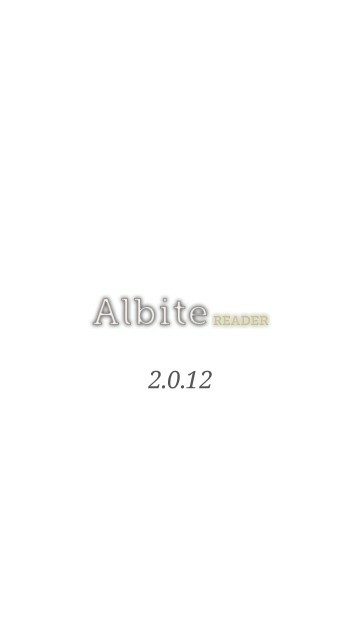 Albite Reader is yet another Ebook Reader for Nokia N8 but it is different from the others I have reviewed so far. 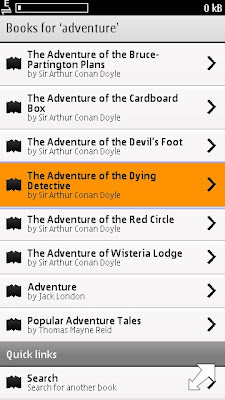 The publisher of this application also offers a huge repository of Ebooks that has some very nice titles. 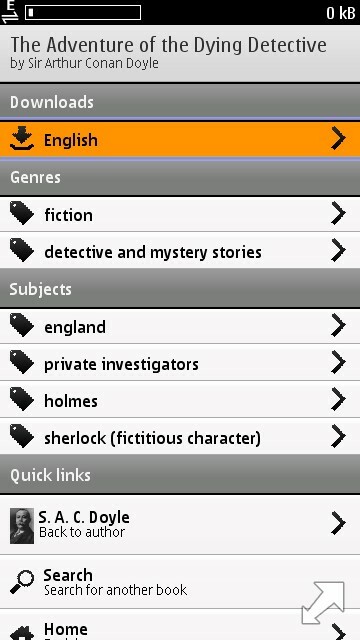 The one I downloaded for test purposes is a Sherlock Holes title which is amazing. 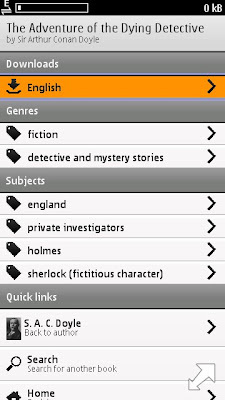 You have options to search for books using the author name, subject and genre. 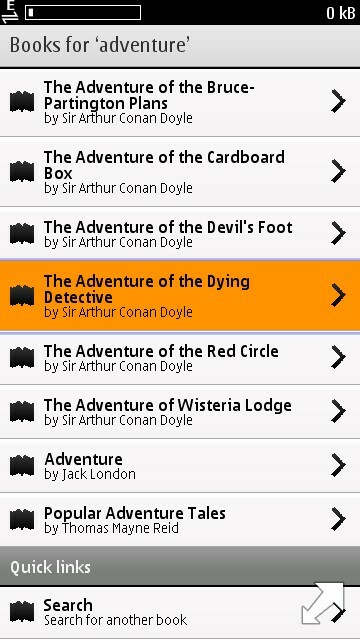 You can also search for books using the keywords. The application does not include the search functionality integrated rather you need to go to the wap site to search and download the files which seems fine to me. The wap site is simple and easy to use and very fast. The file gets downloaded in the Mass Memory at E:\download so when you launch the application, locate the downloaded Ebook in this folder. 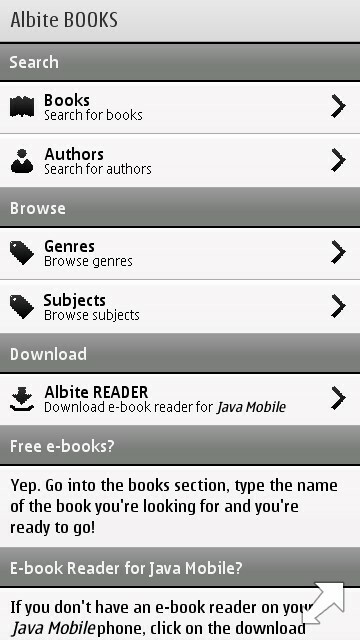 You can also download the ebook on your PC and then transfer to the phone. 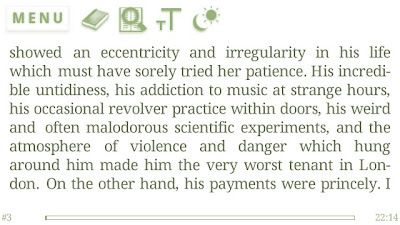 Albite Reader has a very good touch response and GUI looks very impressive which can be switched to two different themes of day and night. 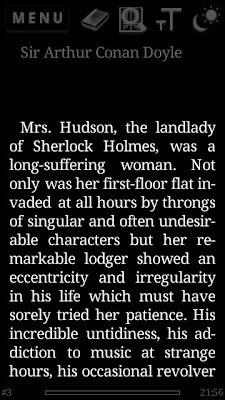 You have to swipe across the screen to move between the pages of the Ebook. The application gives you the option of two font sizes. 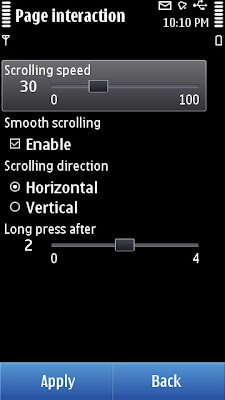 Apart from this you can also change the screen orientation. 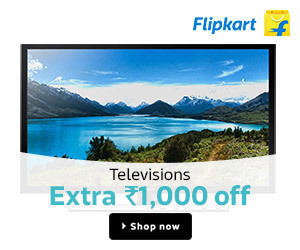 Further, you can change the page interaction like, scrolling speed, long press delay, etc as per your requirement. 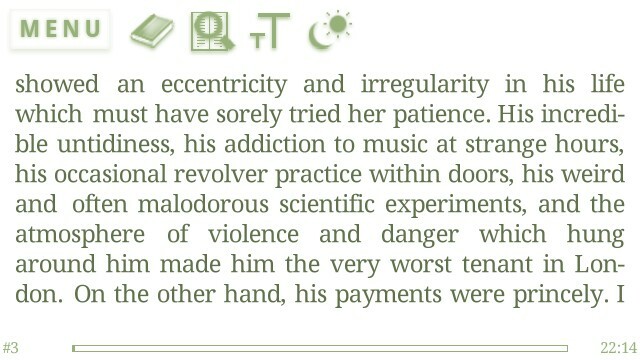 If you are a foreign reader, you can change the chapter encoding too to clearly display the language. 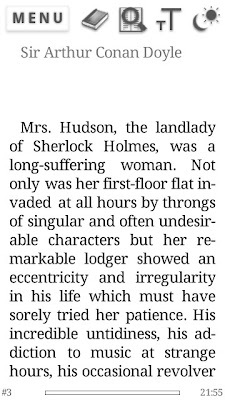 It also allows you yo set the hyphenation. 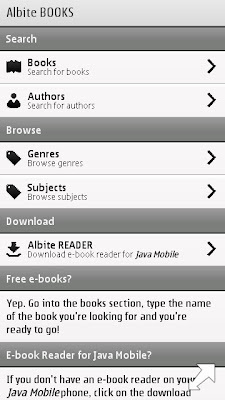 Thus, Albite Reader is a completely user customizable free application. 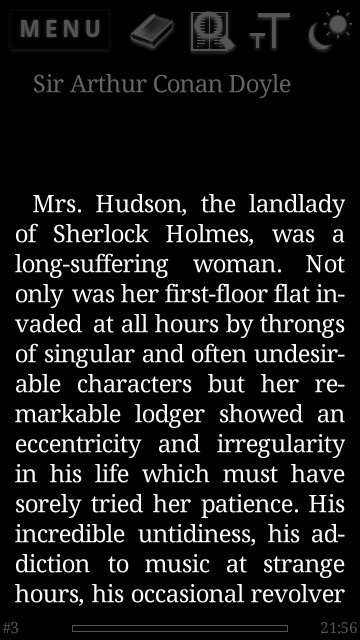 Supporting both the portrait and landscape modes on the phone, this is a must have application for anyone fond of reading. 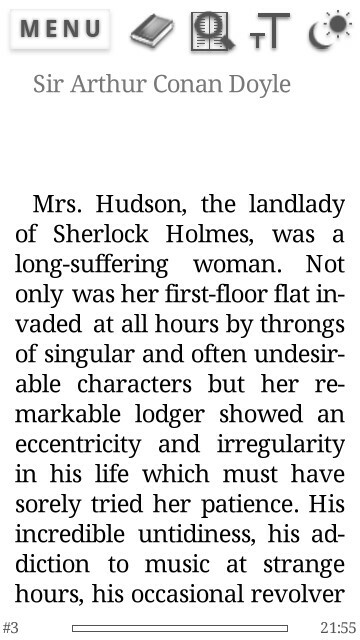 This is a perfect time killer for Airports, Railway Station or anywhere you find difficult to pass time. Designed on the J2ME technology, this is a highly recommended application. 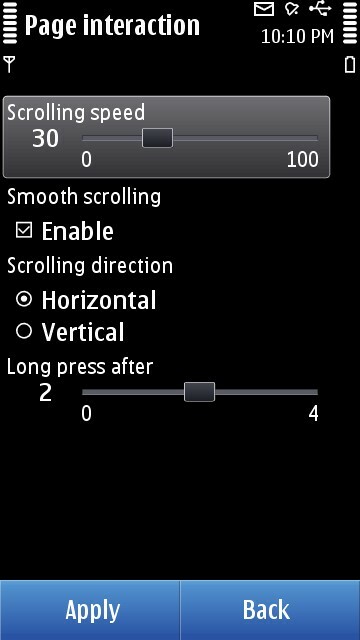 Note: Do not change the Screen Mode in the Menu options of the application as this will render the application useless as the controls are no longer visible on the screen. 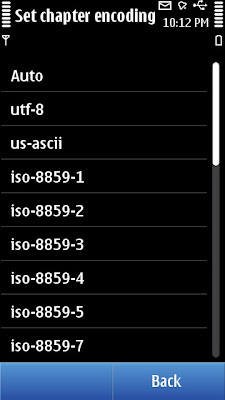 The change in screen mode is not required for Nokia N8.